Your European Eurail Pass is a definite travel plus you need to consider if you’re two or more people traveling together and/or extensively visiting 1, 2, 3 or more countries over a week to four weeks. A Eurail Pass is for individuals, couples, families or groups who intend to visit numerous locations during their stay. If you’re taking the train on two days or more (not necessarily simultaneously) to cover unlimited distances then consider a train pass rather than point-to-point tickets. There’s the one country just France Train Pass for youth, seniors, for from 2 to 9 travel days during up to 30 days… there’s a Train Pass with a discount for you. Your Eurail pass makes traveling by train a breeze. Offering flexibility and really accessible prices for traveling first class which is well worth the small additional cost. There are non-train bonuses depending on your travel countries – including reduced fares on ferries, Eurostar (London<>Paris), French national bus services on limited routes, overnight trains from Paris to Italy, cruises, private trains, hotels, Lyon city card, museums, and other attractions, plus local discounts. Here are answers to your questions about France and European Train Passes. What types of Train Passes are available? There are a lot of different Eurail and other Train Passes available. 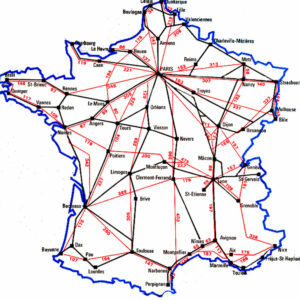 This pass gives you unlimited travel on the national rail network of France (see map). Choice of 3, 4, 5, 6, 7, 8 or 9 days within a one-month period. First-class and Second-class are offered for this pass. France – Spain Saverpass: at a group discount if you travel at all times with up to 4 friends. France ‘n Spain Youthpass: at a special discount for those under 26. If you live in the USA or Canada, click here to book a France – Spain Pass (otherwise, click your country link above). France – Switzerland Saverpass: at a group discount if you travel at all times with up to 4 friends. France – Switzerland Youthpass: at a special discount for those under 26. If you live in the USA or Canada, click here to book a France – Switzerland Pass (otherwise, click your country link above). 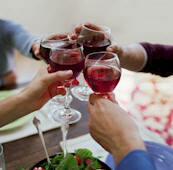 France – Germany Saverpass: at a group discount if you travel at all times with up to 4 friends. France – Germany Youthpass: at a special discount for those under 26. 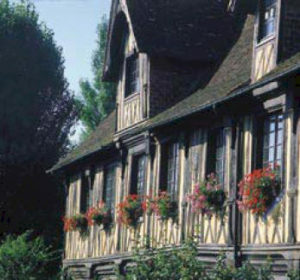 If you live in the USA or Canada, click here to book a France – Germany Pass (otherwise, click your country link above). France – Italy Saverpass: at a group discount if you travel at all times with up to 4 friends. France – Italy Youthpass: at a special discount for those under 26. If you live in the USA or Canada, click here to book a France – Italy Pass (otherwise, click your country link above). This pass gives you unlimited travel in France, Benelux (Benelux refers to Belgium, the Netherlands and Luxembourg. This is considered one country for the Eurail Select Pass), Germany, Switzerland, Italy, Spain, Ireland. The chosen countries are bordering or have a direct shipping line which is part of the Eurail offer. Choice of 5, 6, 8, 10 or 15 days within 2 months, consecutively or not. In first-class. Youth passes are only available in second-class. Unlimited travel on the entire rail networks of Austria, Belgium, Croatia, Denmark, Finland, France, Germany, Greece, Holland, Hungary, Italy, Luxembourg, Norway, Portugal, Republic of Ireland, Romania, Slovenia, Spain, Sweden, and Switzerland. The consecutive pass is available for 15 days, 21 days, 1 month, 2 months or 3 months. The Flexipass is available for 10 or 15 days of consecutive or non-consecutive travel within a 2 month period. If you will be traveling throughout France with a friend — or even 2 or 3 or 4 friends — this is probably the best deal for you. The France Saverpass requires a minimum of two people traveling together at all times. The SaverPass is also available in the Select and Global versions. First-class and Second-class is offered for this pass. If you live in the USA or Canada, click here to book a Saver Rail Pass (otherwise, click your country link above). If you live in the USA or Canada, click here to book a Senior Pass (otherwise, click your country link below). Rail Europe offers great passes throughout Europe for those under 26 years of age and provides great savings. 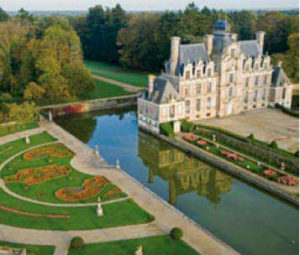 Explore France from top to bottom with our discounted France Youthpass. Just like the France Railpass, the France Youthpass offers travelers under 26 on their first day of travel the opportunity to see France with a discounted pass. France is yours to explore with the option of adding additional rail days! If you’d like to travel to France and 2 or 4 or 16 other countries, be sure to check our Eurail Selectpass, or Eurail pass. Also, check out our France – Italy Pass. Do I need a (Seat) Reservation if I have a Train Pass? If you’re traveling on a Rail Pass (Eurail or country-specific Select Pass) then you have to purchase seat reservations separately. You can do this by going to the website where you purchased the Pass or from a rail station if you’re already in France. See the question above for details about Train Passes. What is a rail pass day and a rail pass month? A rail pass day runs from midnight to midnight. You can board as many trains as you like during these 24 hours. For overnight trains that depart after 7 pm, (19h) a rail day will begin at 7 pm (19h) and end the next day at midnight. So, on the overnight trains, you get 5 extra hours and save a night of lodging costs. A rail pass month is calculated as a calendar month. Here’s an example, a pass that begins on June 18 will expire at midnight on July 17. What does flexi or consecutive days signify for a rail pass? How, when and where can I activate my Rail Pass? Where? Activate your Rail Pass, for free, at a train station in a participating Eurail country. When? Activation must be done within 11 months of the issuing date. Your Eurail Pass can only be used once it’s activated. How? Go to a ticket counter of any major train station in one of the participating Eurail countries. An official will fill in the start and end dates of your travel and your passport number. Therefore, bring your passport. Finally, your rail pass will be officially stamped to validate it. With the Select Pass choose a main country (like France) and you have access to the bordering countries as well. With the Global Eurail pass you have unlimited travel in 18 countries including France. There are various options … always with great savings.